I'm showing you another birthday card! This one is for Monica. And I cut in on Docrafts - Xcut Nesting Dies - Scalloped Circle. Sadly right now both of them are out of stock. If you're interested, you could just click "Put Me On Waiting List". We will contact you as soon as they're back in stock!! 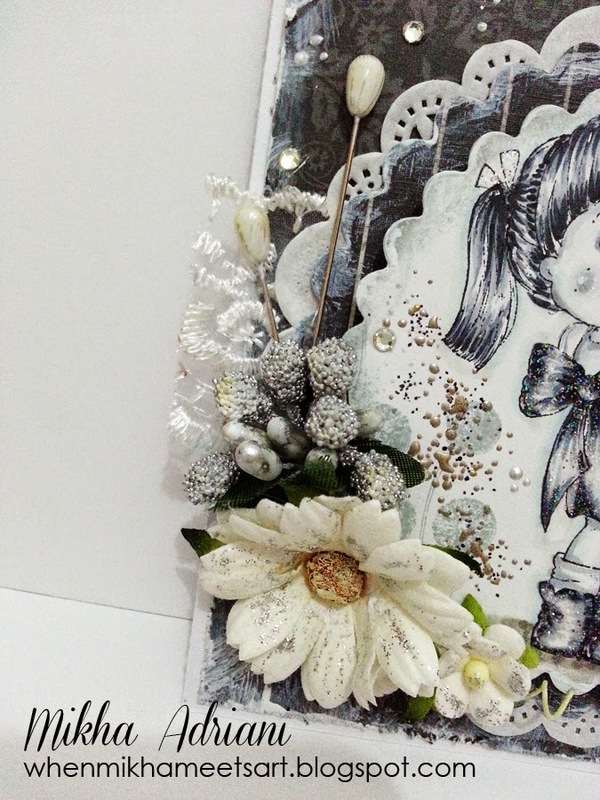 Been a while since I used any pins, and here they are, back in my card, hehe..
And yes, flowers, doily and pearls are the must! Don't forget to pop on the STORE, we just have new arrival of Cheery Lynn and some other new brand dies!! Don't forget that you'll get reward every dollar you spent on our store. You could redeem it with free dies, yay! 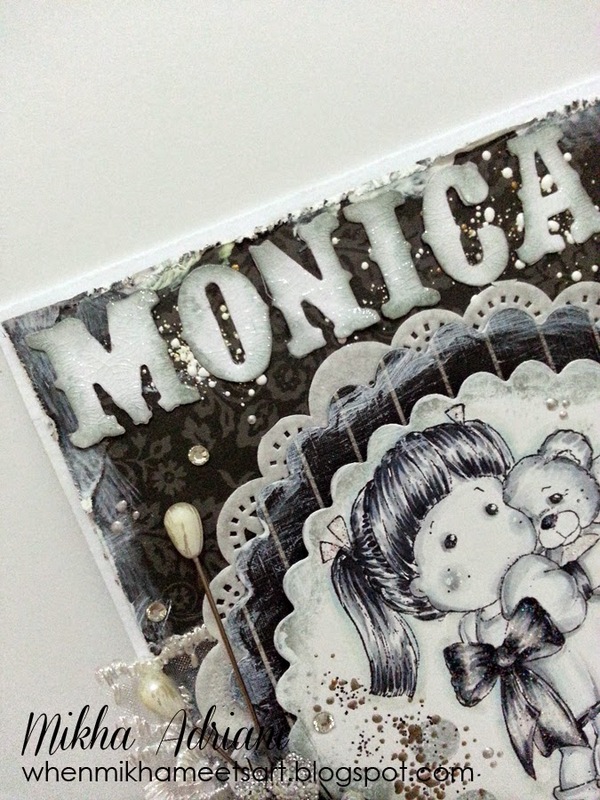 Love the monotone look of this card! So often we go for color when lack of it is just as beautiful! 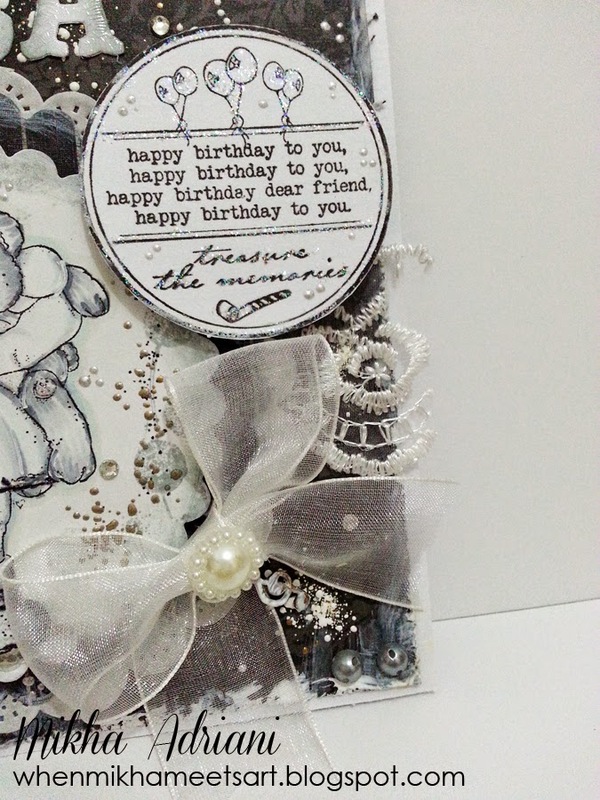 Lovely card Mikha! Great use of dies and color (lack of).